Elit’Avia, a fully-integrated provider of business aircraft charter, management and operation services, today officially announced its tenth anniversary. Since the company first opened, the Elit’Avia team has been guided by an enduring commitment to exceed client expectations. Offering an exceptional level of personalized service, client satisfaction is central to its vision. In order to maintain this level of excellence, Elit’Avia has always approached expansion with a healthy degree of reservation. Growth that enhances service is desirable but must not come at the expense of compromising Elit’Avia’s unique approach to offering business aviation services. For example, Elit’Avia’s VIP Travel Services® provide a level of ease and comfort that exceeds competing business aviation offerings. The VIP Travel team is trained to be true ambassadors for their clients, supporting all travel-related needs and preferences, including: airline upgrades, special visas, ground transportation, hotel reservations/upgrades and other concierge services. Elit’Avia is headquartered in Ljubljana with Air Operator Certificates (AOCs) in EU member states Slovenia and Malta, and an office in Atlanta, USA. With Stage 3 International Standard – Business Aircraft Operations (IS-BAO) accreditation from the International Business Aviation Council (IBAC), Elit’Avia operates at the highest industry standards. Today, Elit’Avia manages a mixed fleet of 21 midsize to long range business aircraft for charter and private use. 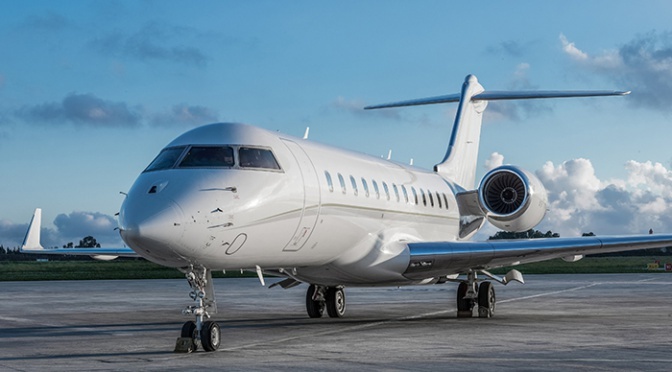 Aircraft types include: Gulfstreams (650, 550 and 450), Bombardier Globals (6000 and XRS), Bombardier Challengers (605, 604 and 300), Dassault Falcons (7X, 2000S and 50EX) and a Hawker 800. Elit’Avia is a fully-integrated provider of business aircraft charter, management and operation services. Headquartered in Ljubljana, Slovenia, with offices in Valletta, Malta, Elit’Avia holds AOCs in both countries. Elit’Avia also serves the US business aviation market, offering charter services from its Atlanta office. Elit’Avia is also Stage 3 International Standard – Business Aircraft Operations (IS-BAO) certified by the International Business Aviation Council (IBAC). For more information, please visit https://www.elitavia.com.